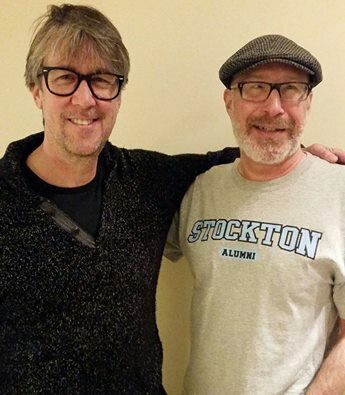 Steve Cooper talks with actor Alan Ruck. Alan is best known for his role as Cameron Frye, Ferris Bueller's hypochondriac best friend, in Ferris Buehler's Day Off and as Stuart Bondek, the lecherous, power-hungry member of the mayor's staff on the hit series Spin City. His first film role was in the 1983 drama film Bad Boys and has appeared in numerous films since then such as Class, Three for the Road, Young Guns II, Speed, Three Fugitives, Star Trek Generations, Extraordinary Measures, The Happening and Ghost Town. His long list of TV credits include Psych, Grey's Anatomy, Stargate Atlantis, Cougar Town, Drive, Scrubs, The Bronx is Burning, Medium, Burn Notice, Hawaii Five-O and NCIS. He also made his first Broadway appearance in Biloxi Blues in the early 80's and starred in a version of the Producers in 2005. This entry was posted on Wednesday, December 3rd, 2014 at 12:49 pm	and is filed under DefaultTag.